The stars of not one but two #1 reality television shows, and frequent cover girls on all the weekly celebrity magazines, Kourtney, Kim & Khloé Kardashian live large and glamorous lives. But not everything is on the screen—how they really live, get along (and feud) as sisters is the subject of the Kardashians’ very first book. Kardashian Konfidential is their sisterhood autobiography, full of fun facts about their childhoods (guess who was the ugly duckling? ), their beauty and style secrets, the wisdom they learned from their beloved father, and the street smarts they got from their mother that sustain them in life and in business. 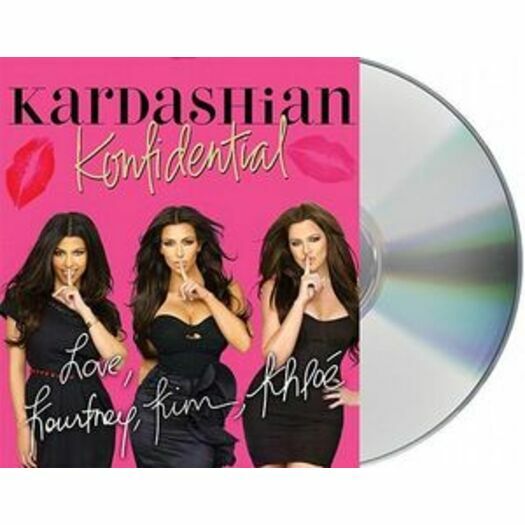 Kardashian Konfidential is bursting at the seams with photos, memorabilia, diary entries, datebook pages, and old Valentines the girls sent to each other, as well as many other artifacts put together just for their book. As glamorous, fun and fashionable as the girls themselves, this is the perfect buy-one-for-me-buy-three-for-friends fan’s book. Kourtney, Kim and Khloé Kardashian are the stars of the E! hit series Keeping Up with the Kardashians. Kim's official website, KimKardashian.com, is the fastest growing celebrity site with 6 million page views a month. Kim is the executive producer of reality show The Spin Crowd, which will appear on E! Kourtney and Khloé have their own show, Kourtney & Khloé Take Miami, also on E!. The sisters also own the clothing boutique DASH and have appeared on a variety of magazine covers and advertising campaigns. They live in Los Angeles, California.